Fear of driving is a very common and we understand it is very important to provide the right atmosphere for our students. We've seen time and time again nerves and fear holding back a students progress. Creating a learning environment like this starts with us and our instructors. To that end we never stop training our instructors to keep them on top of their game. Driving instruction is about listening and responding to your needs. In the end that is what being a driving instructor is all about. You, our student, and your safe development into a competent driver. You will develop your understanding of driving up to 3 times faster with the aid of our home study material. Our extra bonus training will give you the head start all your EDT driving lessons, on road rules and on the driving test. No other Grangecon driving school offers such a comprehensive service as this. It is an sad fact that Ireland is among the worst countries in Europe for road deaths and accidents. To help stem these statistics the Road Safety Authority introduced a new and mandatory training initiative for new drivers. The Essential Driver Training or EDT. First you must master the rules of the road, the road signs and skills involved to control a car safely. Then you must master the conditions of the driving test and understand what to expect. The test is your chance to show that you are safe enough to drive unaccompanied. And naturally, as with any test, if you understand the conditions and what to expect you can pass easily. It is standard practice by many driving instructors to keep giving you lessons until they 'think' you are ready. They 'think' you are ready but they do not really 'know'. That is because of a total lack of understanding on how the tester thinks and marks you during the test. This is not how we do things. All our instructors have been trained by ex-testers so they fully understand the driving tester and what they are looking for from you on test day. 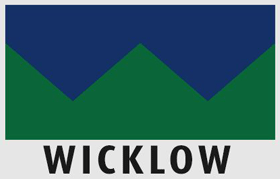 Check out pretest packages in Wicklow here... or Call (045) 256 987 now to book your pretest package. When we were in school we all had our favorite teachers, the ones that engaged us and made learning fun. And then we had the opposite, those teachers that had no place in the classroom. Not all teachers are made equal and that is no less a fact with approved driving instructors. It's not as straightforward as searching 'Driving Lessons Grangecon' and picking the first driving school you stumble upon. Who can you have faith in to offer you that enjoyable and engaging driving lesson experience? You need a driving school with a reputation built on experience and student success. A driving school that gets pupils to pass the driving test. 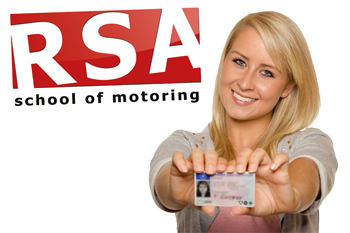 RSA School of Motoring have the precise track record of student success we have been talking about and we have the verified testimonials to show it. So if you need driving instruction you would be getting a head start choosing us. Read on to find out why. Driving automatic is becoming increasingly more popular and we are happy to say that we can offer all our students automatic driving lessons anywhere in Wicklow. Give us a call today and we’ll get you booked in with your nearest automatic instructor.